According to Apple System Status, the stores are up and running now. No, it's not your weak wifi or poor 4G connection. If you're an Apple user, here is some news for you. Apple’s iOS App Store and iTunes Store suffered from widespread downtime on Wednesday morning. The stores were reportedly down for more than 30 minutes for users worldwide. According to Downdetector.com, the reports of downtime began rolling at about 7 am IST. While it is unclear what caused the outage, Apple's System Status page shows that the issue has been resolved and the stores are up and running. However, some Apple users are still facing hiccups in different parts of the world. 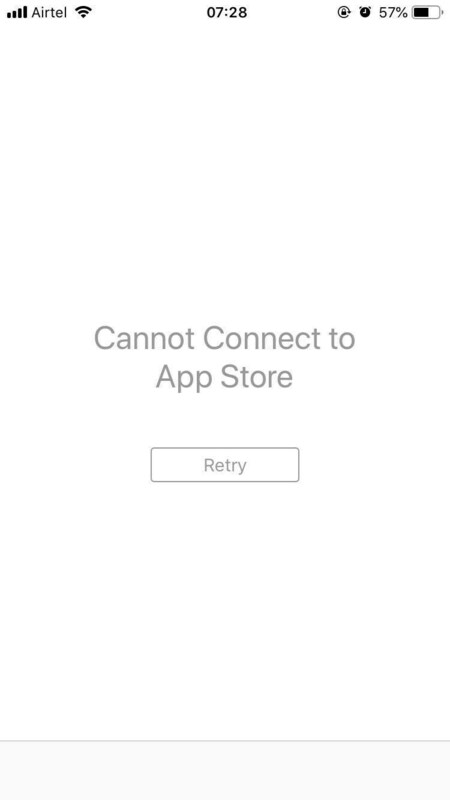 The outage first came to notice when several users tried accessing the App Store but were greeted with this message - "Cannot Connect to App Store"
Those affected by the downtime were quick to take to Twitter. While some responded with memes. Acknowledging the issue, Apple wrote, "Users are experiencing a problem with the App Store. We are investigating and will update the status as more information becomes available."